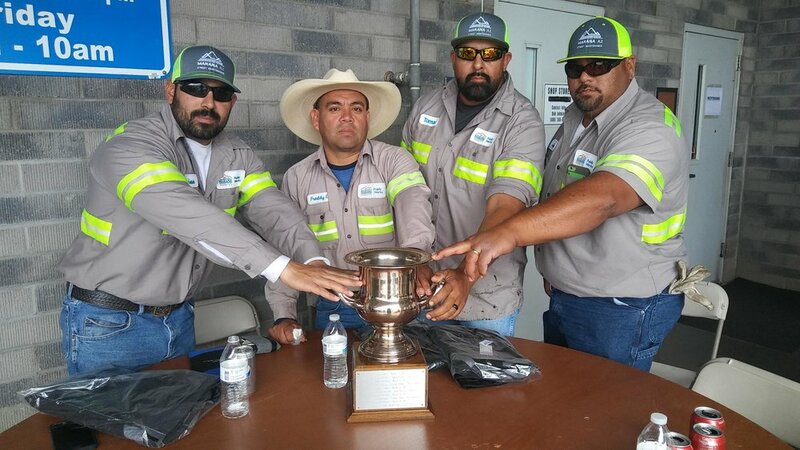 The rodeo is an annual event held by the Arizona Maintenance Superintendents Association (AMSA) to showcase various skills used in the maintenance and repair of public infrastructure. Marana’s winning crack seal team was made up of Adrian Rojel, Tomas Gonzalez, John Kaiama, and Fredy Castellanos. Two other Marana employees had good showings with Rich Jacinto competing in the Traffic Markings Event, while Shari Howard participated in the Wheel Loader Event. Competitors could only participate in a single event. Other events included Asphalt Patch, Concrete Repair, Backhoe, Forklift, and Sign Placement.